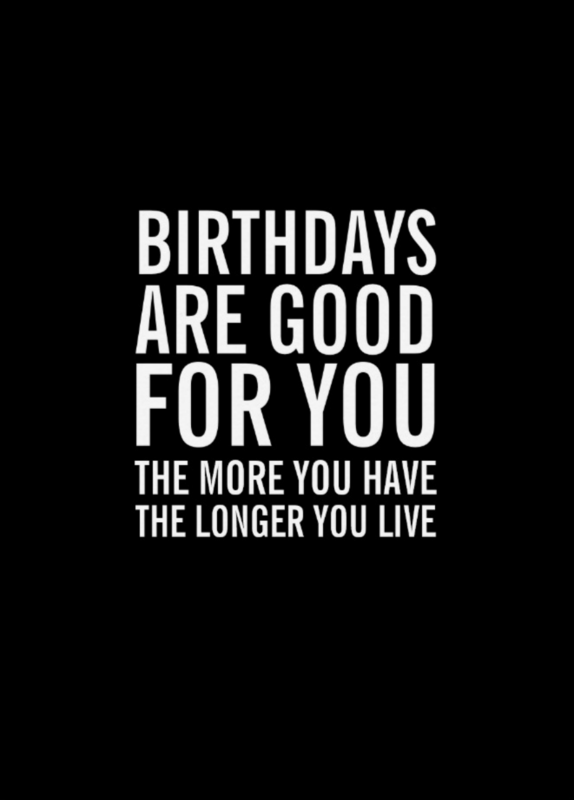 About 15 million people celebrate their birthdays every day. And the most common thing people do to mark this passage of time and age is by sending or giving birthday greeting cards. 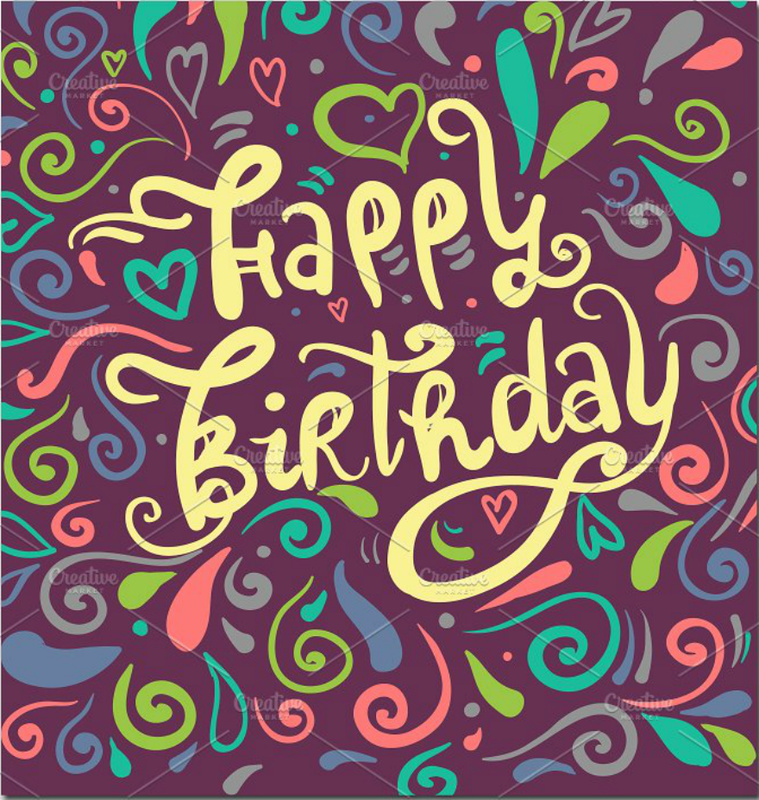 The first record of a birthday card being used was in 100 BCE in the Roman Empire when the wife of a commander sent out an invitation card to her sister for a birthday celebration. Today, there are various types of greeting cards, ways of sending them, and reasons for sending them (or not) that can inundate our lives. 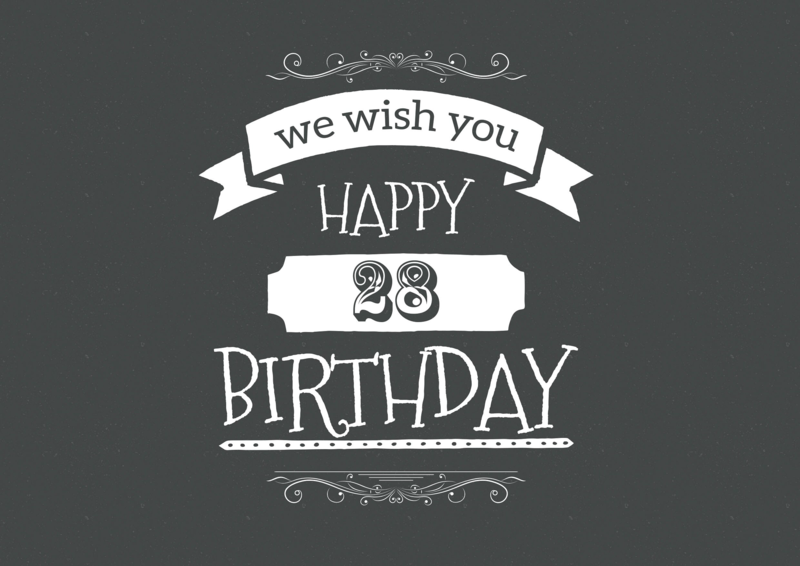 If you are reading this article, chances are, you are interested in creating your own birthday greeting card. Or, you are at least on the lookout for the best printable card that you can give to your friends, family, and colleagues. 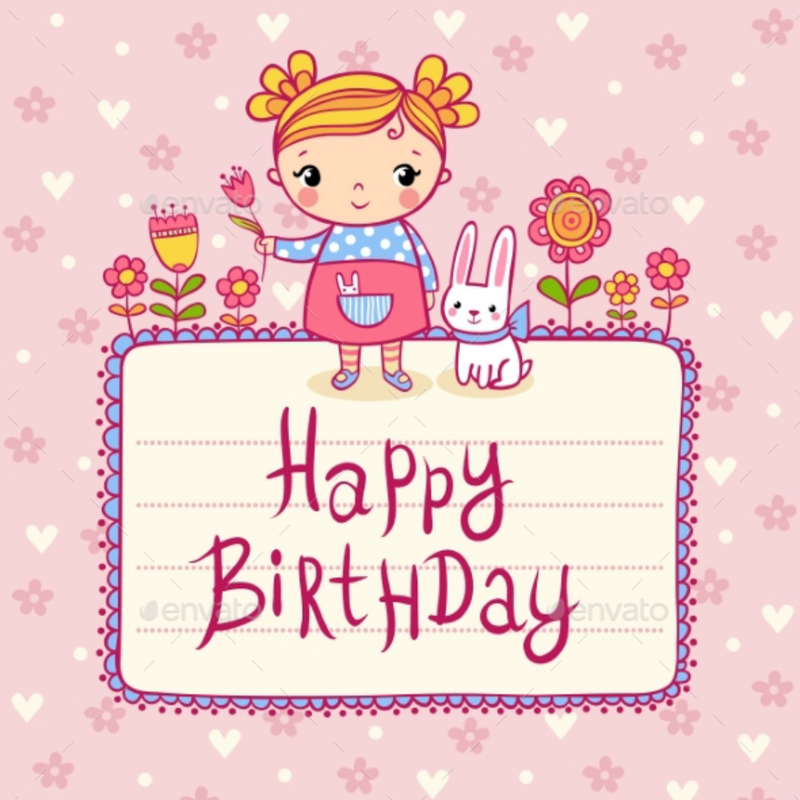 This article will provide helpful information on all those topics in addition to sharing multiple examples of real world birthday greeting cards that you can gift to real people in your life. Well, of course, people send birthday greeting cards to express messages of kindness and appreciation to a person who is celebrating his/her birthday. But this is just one of the countless reasons why you should send a birthday greeting card. Aside from this singular purpose, we have compiled a few more reasons why you should really sending out a birthday card. To greet others on their birthdays. This is perhaps the most common reason why people give out birthday greeting cards. People tend to appreciate handmade cards with handwritten notes rather than receiving generic e-cards. To reconnect. 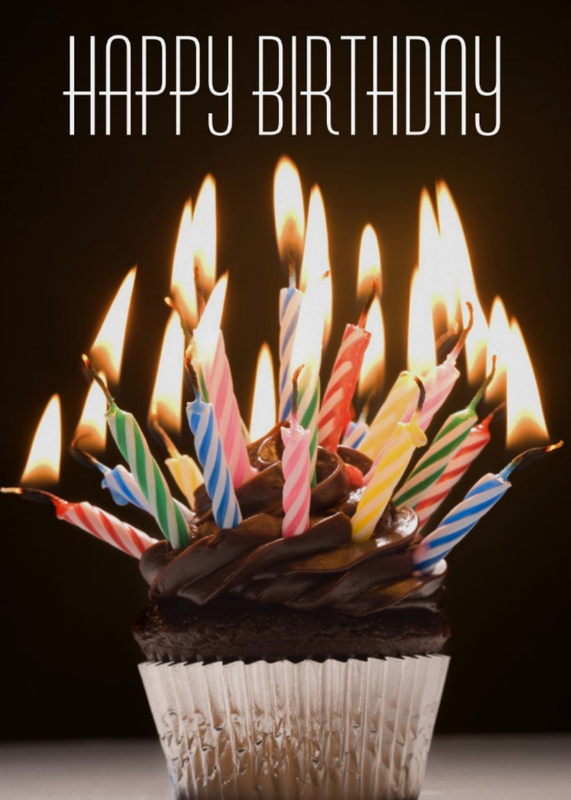 Sending birthday greeting cards allows you to reconnect with friends and relatives whom you have lost touch with over the years. Yes, there is Facebook where you can send a message to anyone at any time. But the advent of instant messaging has somehow depersonalized communication. When you send a printed greeting card, you go out of your way to remember the person you are giving a card to and the greeting card can act as conversation starter. To tell them how you feel. 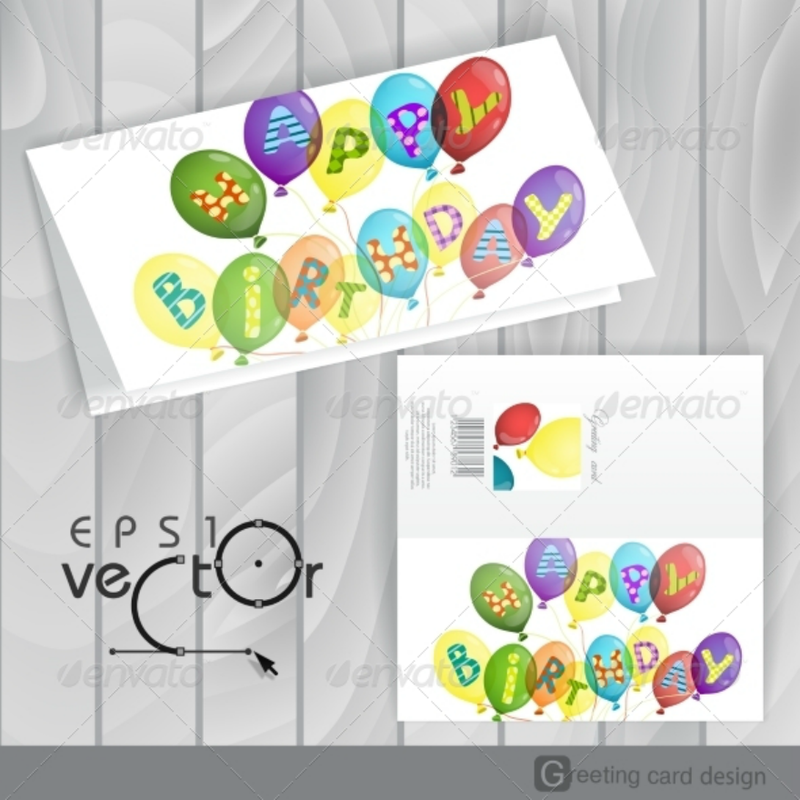 Birthday greeting cards will have a generic birthday greeting written on the front cover or on the inner fold. Card senders may still add handwritten notes on the blank portions of the card. It is in these notes that you can really write about heartfelt messages for the person who will receive the card. To surprise them. It is highly unusual to receive letters and greeting cards through snail mail nowadays. So if you want to surprise someone on their birthday, sending out birthday cards is an awesome way to greet them. You may also increase the surprise element by incorporating pop-up card design elements into your birthday greeting card. Greeting cards are mainly available in three forms: (1) e-cards, (2) printable card templates, and (3) handmade versions. E-cards, short for electronic cards, are the animated cards that you can send through your email or instant messaging accounts. 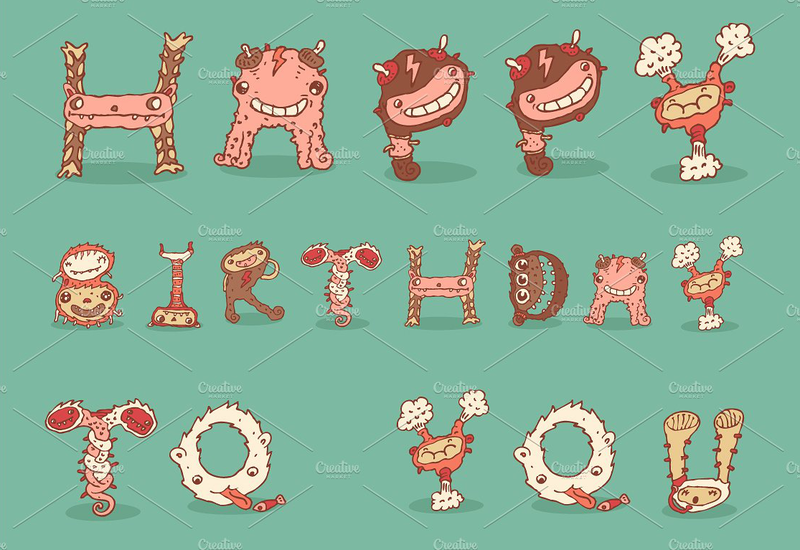 The printable birthday cards are mainly available through online graphic design marketplaces. They can be downloaded as template files, customized, and then printed out. Handmade greeting cards, as its name suggests, are the ones that you will design and create by hand yourself. Handmade pop-up cards are an excellent example of this category. What is my budget? Or do I have a budget limit? Some greeting cards may cost less than a dollar while other brands may cost more. It is important to ask yourself if you have or want to set a spending limit for birthday card/s. If budget is an issue, you can go use and send free e-cards or you may create a handmade card from art materials that you have at home. Another thing you can do to save money is buying greeting cards in bulk or sets. Are you making the cards yourself? Will you be designing the card/s using an image editing software? 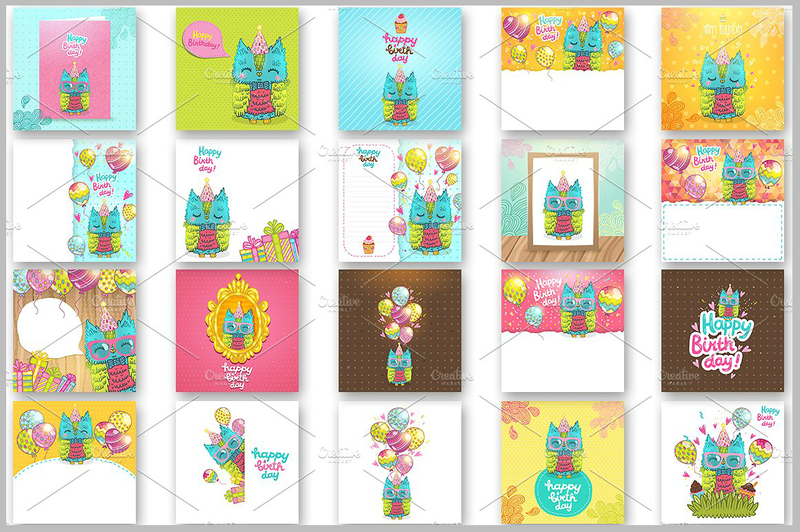 There are two ways you can create a birthday greeting card yourself. One is to hand draw your card’s design and manually recreate this design on the card using various crafting materials. 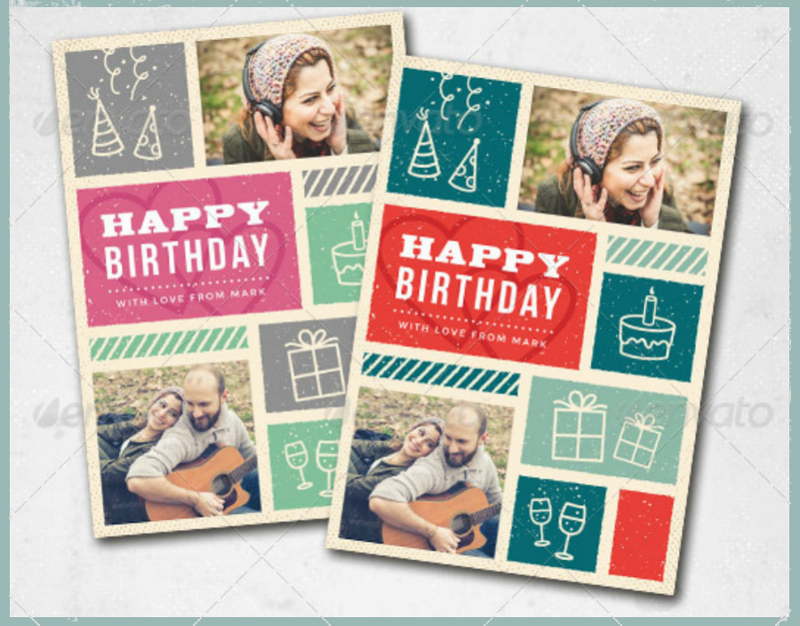 Another way is to create a greeting card mock-up design using Adobe Photoshop or Illustrator (or other image editing and creation software) and then only printing them out on quality card stock or paper. You should think about these things beforehand so that you correctly gauge how long will it take you to finish a card project. What are your card-making, designing, or crafting skills? This is another question you should ask yourself if you think of creating your own birthday greeting cards. If you have studied art or have always done art and scrap-booking projects in the past, then card-making will be easy for you. On the other hand, if you have not done projects like these in the past, you may study first or enlist the help of another more knowledgeable person to assist you in the project. Do you have the time? Another important question to ask yourself is if you have the time to design, create, and/or print out the greeting card. Look into your work schedule and monthly calendar and assess if you can complete the project or not. If you feel even the tiniest smidgen of doubt of your time management skills, it is best to go to the printable card route or just purchase a ready-made card. What kind of sentiment or effect do you wish to express to the card’s recipients? 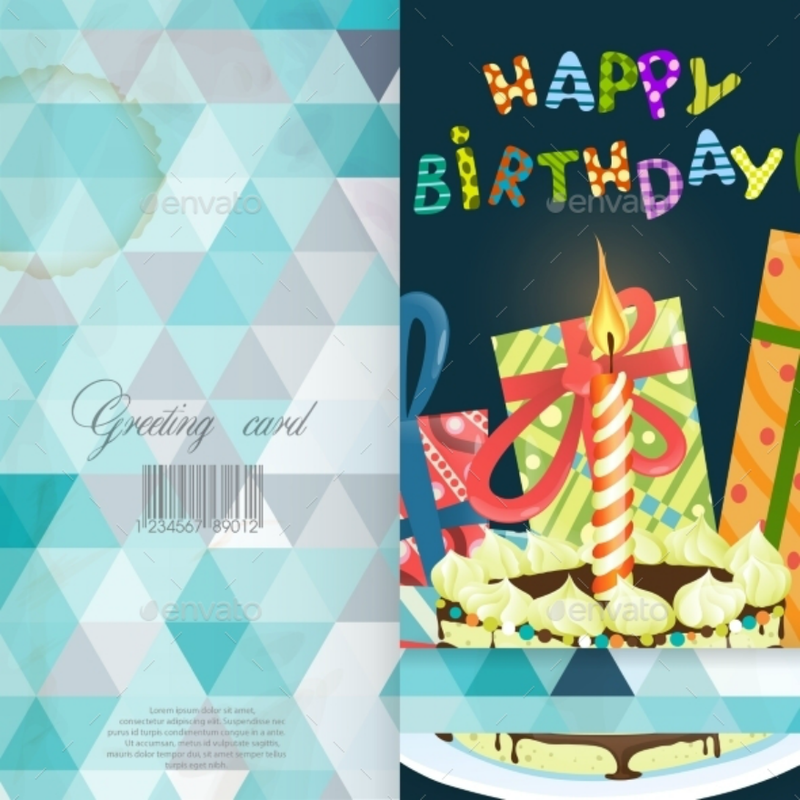 Sometimes, even if you do not have the time, money, or skills, you will be willing to learn and defy all odds into creating a highly personalized birthday greeting card if that means you will get the recipient’s approval and/or genuine appreciation. If you think that this question/criteria matters to you more, then you should get started on that birthday card soon. 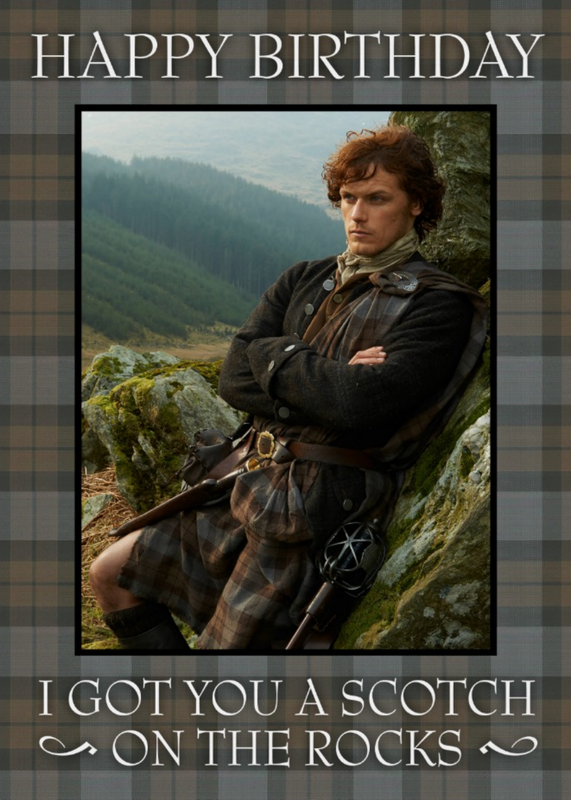 To summarize, e-cards are best sent as a send-to-many option. It can work well for business and academic organizations. But if you want a personalized touch in the birthday greeting cards that you send, printable cards or handmade cards would be ideal. 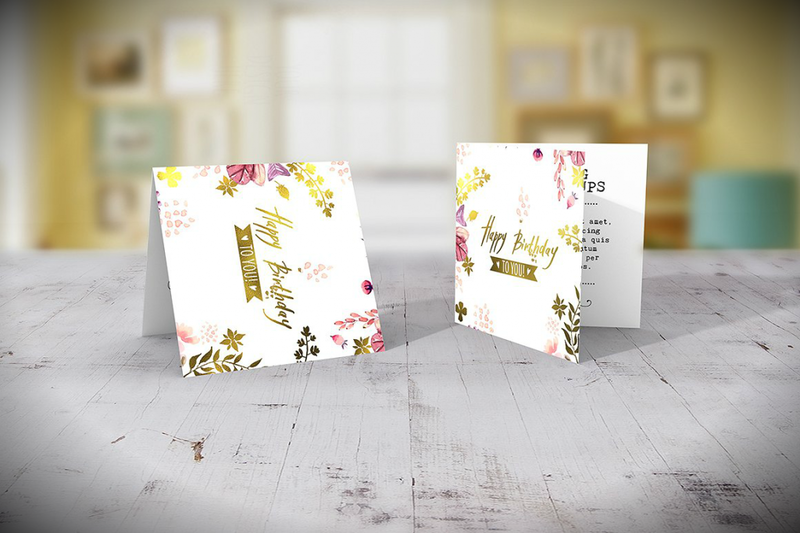 Printable cards saves you a lot of time in designing and making cards but it still gives you enough freedom for customizing it to match the recipient’s taste. Creating handmade cards, on the other hand, is time-consuming and you really need to pump out all your creative juices. But their effect on the recipient can be timeless. Create a Pinterest board filled with card design inspirations. Pinterest is a helpful site for creatives since it allows its users to collect design inspirations and pin them in a sort of digital mood board. 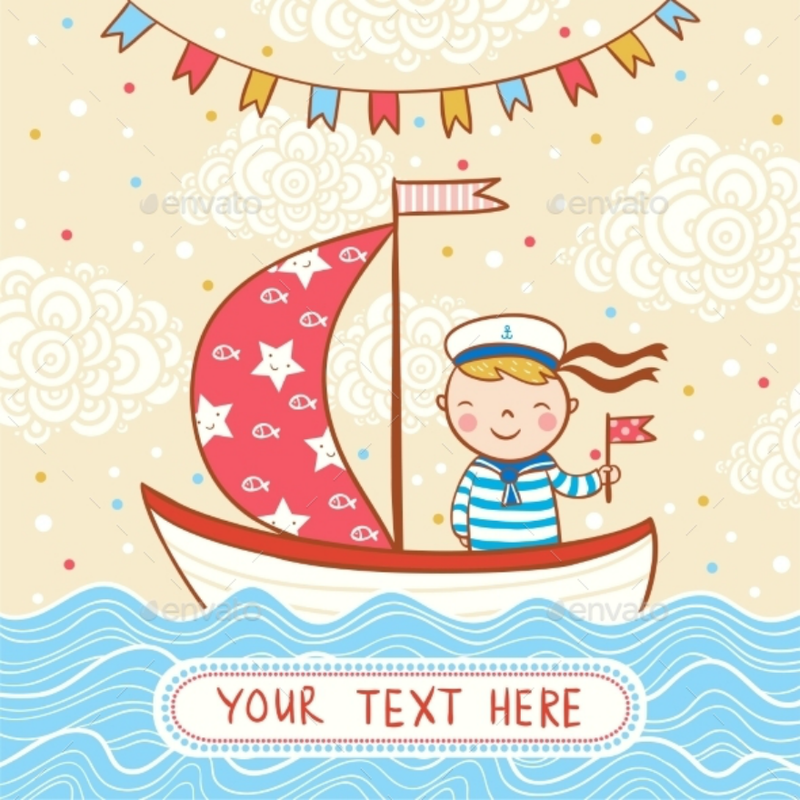 If you are looking for artistic card designs, for example, you can begin pinning creative projects from different people all over the world. On top of that, Pinterest can act as a repository of all your other creative pursuits. You may also look back at it when it’s time to look for other design inspiration for another person. Find paper scraps and other art materials that you can use for your cards. Card-making does not require you to always use brand new crafting products every time you start a project. You may use paper scraps and other leftover art supplies in creating a new card. Imagination is the key to creating. So do not throw away those cut outs and paper trimmings since you may still recycle them for other projects. Follow minimalist graphic designs. Minimalism may be applied in greeting card designs if you want a clean-looking card or if you intentionally want negative spaces on the card cover. Minimalist card designs can help establish a punchline in funny greeting card design, so use it well. 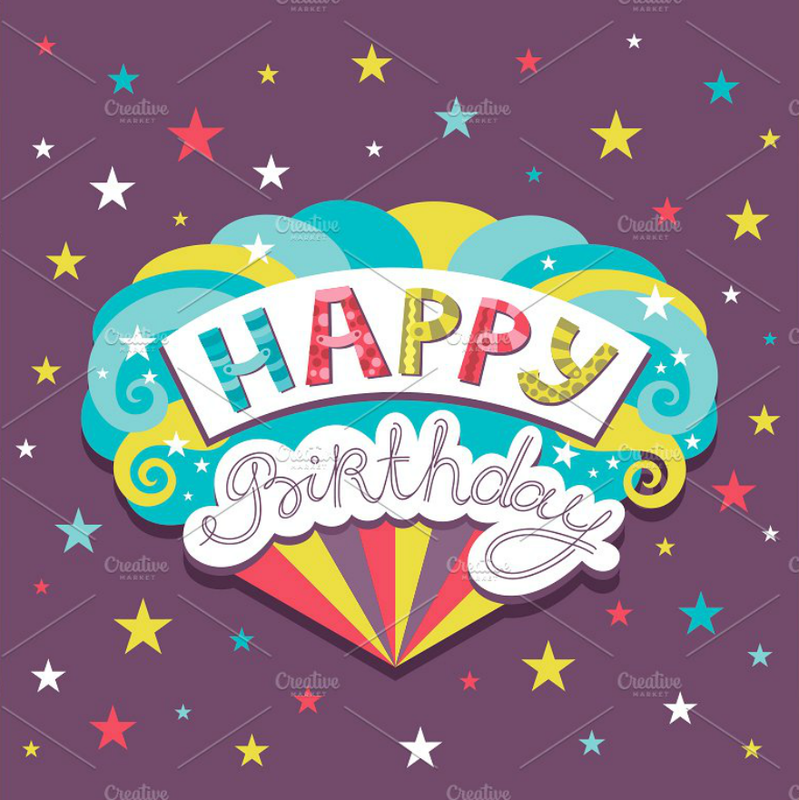 Some birthday greeting card designers use a monochromatic color scheme on their greeting cards and therefore will have some sort of minimalist effect. 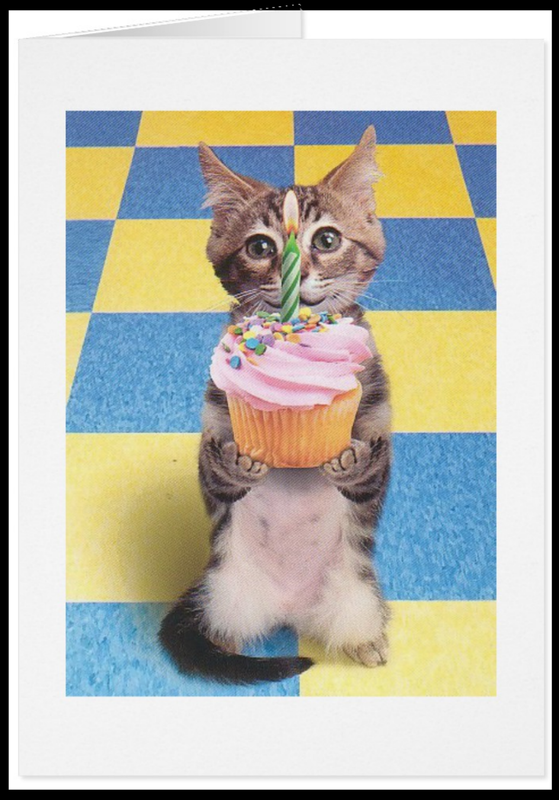 It is not wrong to “borrow” birthday card messages from commercial cards. As long as these cards are for your own personal use and you do not earn money from it, it is all right. 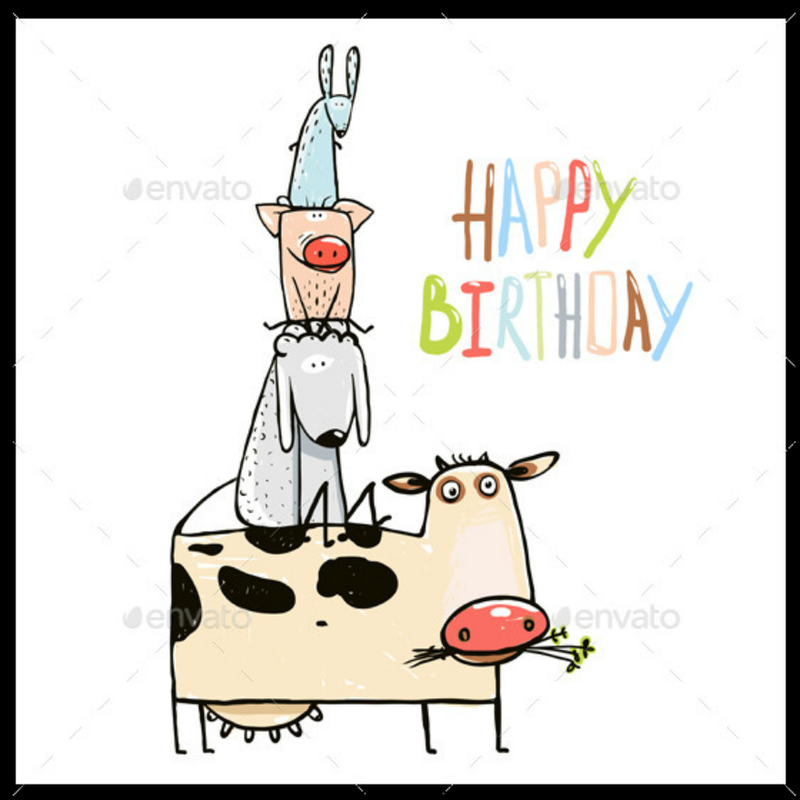 The Internet is filled with some of the most ingeniously designed and creative greeting card ideas in the world. You can always try to recreate these designs if you want to. Or you may use them as a base for your other card designs. Learn about paper mechanics and create pop-up cards. 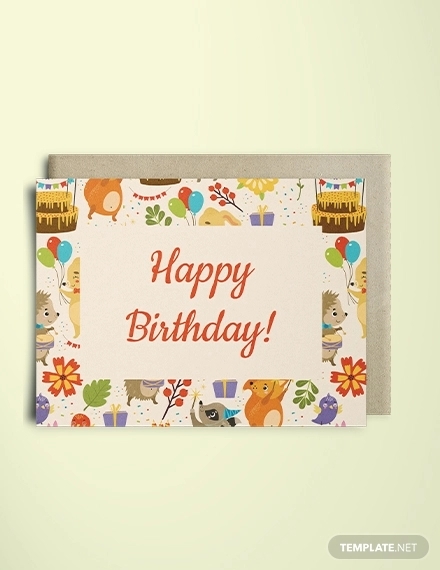 A surefire way to spice up your birthday greeting cards is by incorporating a pop-up greeting card. As its name implies, pop-up greeting cards have hidden pop-up mechanisms made entirely of paper that will slide out and will add to the recipient’s surprise. Here are the steps on how to make a basic pop-up greeting card. 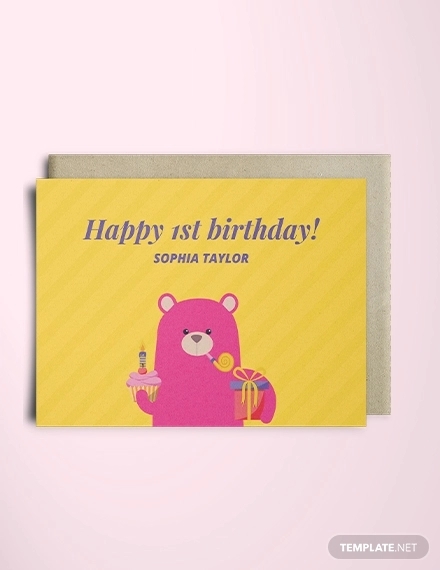 Remember that the quirkier and the crazier your card’s design is, the more the recipient will remember (and hopefully treasure) the birthday card. Greeting cards have a unique ability to make other people look at the maker/sender of the card in a different (and mostly positive) manner. This is particularly evident if the greeting card was handmade personally by the sender. In a time when most people routinely write birthday greetings through Facebook, your specially handcrafted card will really make the difference to the person celebrating his or her birthday. Ask the recipient for design suggestions. Or if it is a surprise, list the person’s likes, dislikes, and preferences. This way, you will be able to know what kind of design will make his or her heart go aflutter. Combine different textures for your the card’s front cover design. 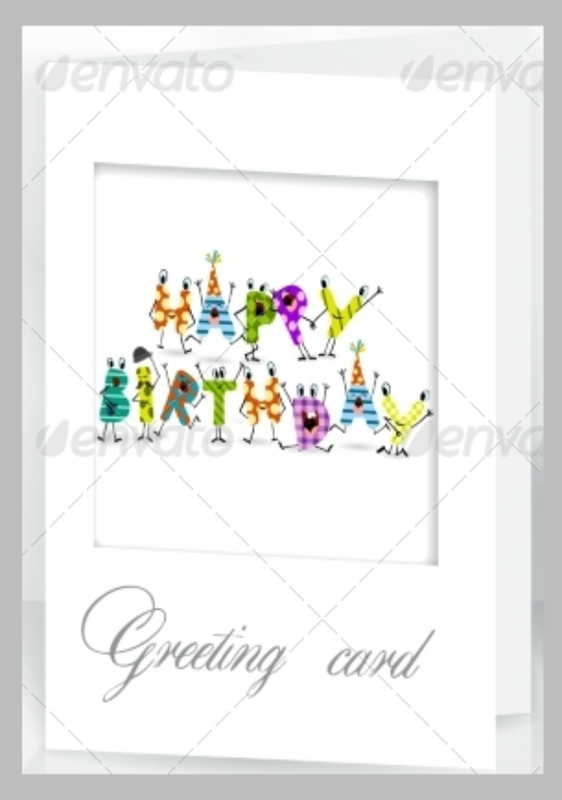 This is a design tip that you should incorporate if you want a greeting card that stands out. Do not limit yourself to using card stocks and color pre-printed patterned paper. Explore the paper aisle in the stationery store near you and you will find papers or wrapping materials having different textures that you can incorporate into your card. You may even use cloth and lace if you like. Pre-made stickers, rubber stamps, and other embellishments are your friends. Another must-have for DIYers are pre-made embellishments. This will make your life easier during the card-making process since you all you have to do is stick or glue them onto the page. Granted, you need to be discriminating in choosing the embellishment’s design to make sure that your card follows a cohesive theme. 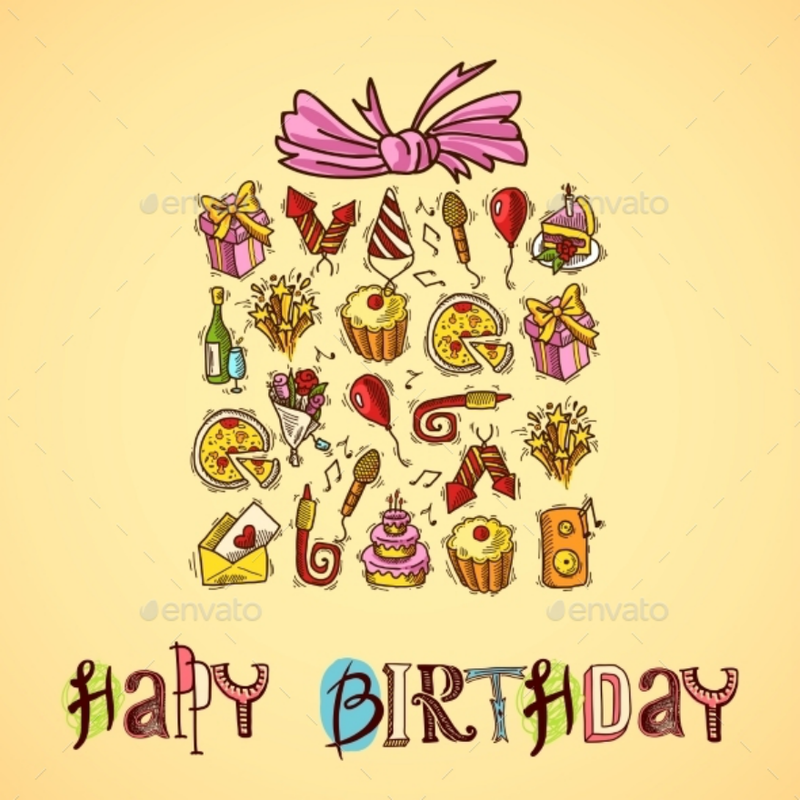 Listed below are different birthday greeting card designs that you can send to your friends and relatives for their upcoming birthdays. And if you like some of the designs, no one can tell you off for buying one for yourself. It is preferable to send a thank-you note or card to the card’s sender. If you cannot send a thank-you card, you may call the person to express your gratitude. 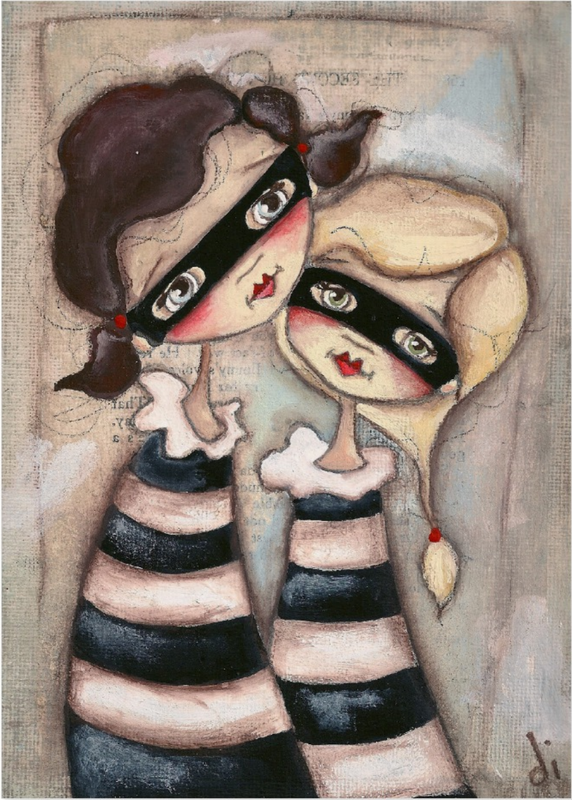 Only send greeting cards with mature or explicit content and graphics to your significant other or closest friends. Imagine what may happen if you send a greeting card containing green jokes to your conservative relatives. 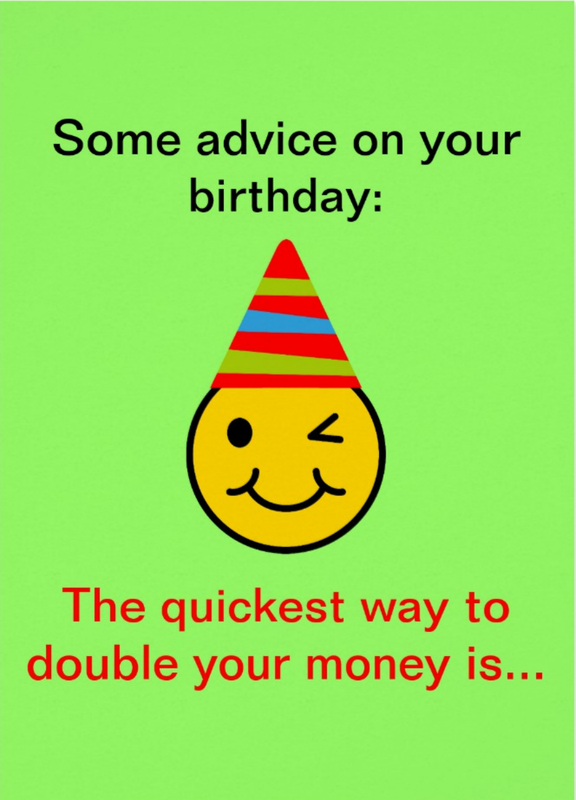 Cash enclosed in your birthday greeting card is not recommended. Including cash with their birthday greeting cards may have been appropriated from the Chinese culture called angpao or hongbao. This is red envelope filled with money and is usually given during the Chinese New Year and during weddings. Some families may practice this tradition for their kids’ birthdays. But it is totally not recommended when sending birthday greeting cards to godchildren, grandchildren, or even to adults.